HAVE SOME FUN WITH YOUR BATTING HELMETS! 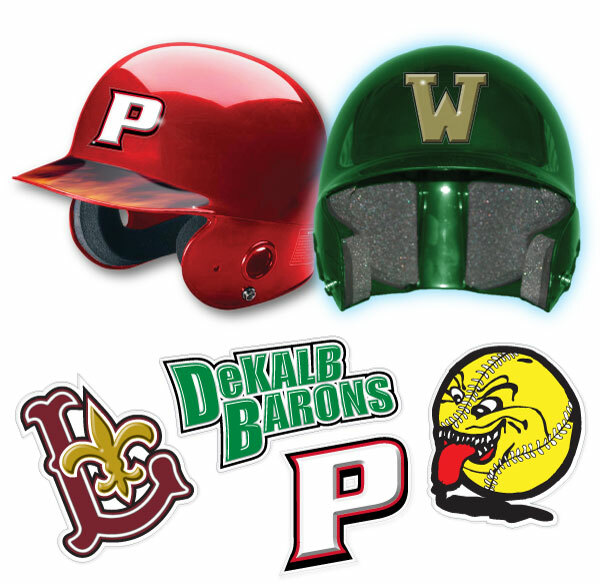 You design your baseball decals with unlimited colors – same price! We print to your specifications! Order them for your entire baseball or softball team. Unlimited colors at no extra charge! Have fun with your baseball batting helmet decals. With Team Pride Awards, you can design your own baseball decals at a very affordable price. Whether a pro team or a little league team, our price is a home run deal that can be beneficial for your entire baseball team and we are the only nationwide company that offers as many colors as you wish for no extra charges. Give us your own unique design and we can print according to your specifications. The decals can be printed with unlimited colors, no extra charge. Moreover, our decals are made of tough, durable and thick 20mil flexible vinyl that is applied without wrinkles and can last for an entire season. It can be removed easily with little or no adhesive at all.